Your Album in PinkMirror. 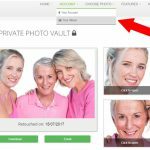 Fast, Fun, Easy, and Convenient way to store your retouched photos. 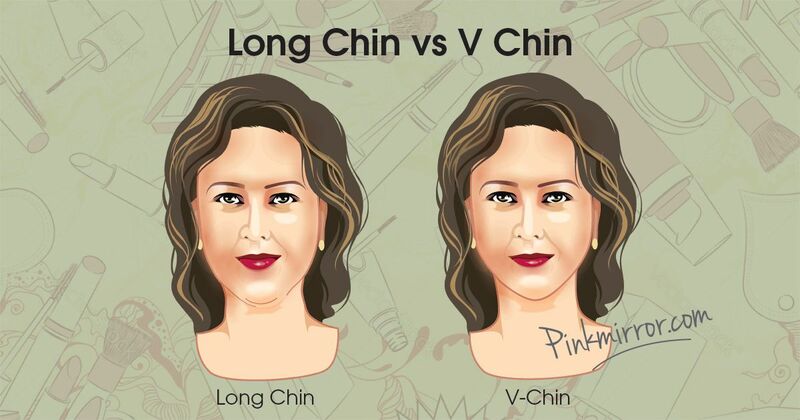 If you have a u-shaped chin or a chin that appears too long for your face, discovering how to create the illusion of a slimmer and smaller chin can improve both your appearance and your confidence. For women, having a softer chin line displays youthfulness and femininity, whereas an over enhanced chin may make you look unbalanced and larger than you actually are. 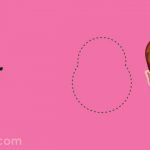 Altering your chin shape can also have effects on the rest of your features, for example, it can make your nose look smaller. You can physically change the shape and size of your chin with mentoplasty, a cosmetic procedure which is becoming increasingly popular. It is heavily rumoured that YouTube sensation Michelle Phan has had mentoplasty to achieve her new feminine, oval chin. You can also try out our digital Chin Lifting tool to alter photographs and see how mentoplasty surgery would look for you. 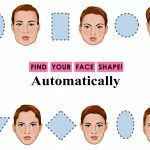 However, on a day to day basis you can alter the appearance of your u-shaped or long chin with some simple makeup application tricks, fashion and style tips and we’ve even got all the details on how you can take the perfect selfie for a more flattering look. 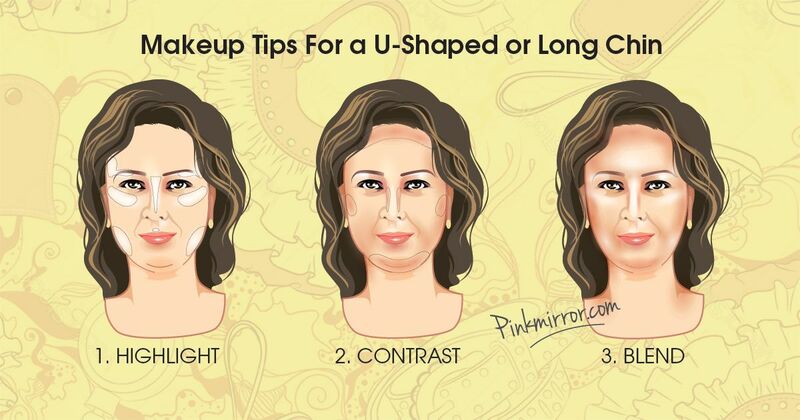 Changing your makeup routine to accommodate for your chin shape is a great way to enhance your best features and minimise the appearance of your long or u-shaped chin. Whilst it’s always important to precisely colour match your foundation when you’re trying to disguise your chin, it’s particularly vital. 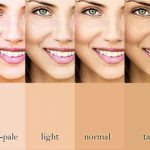 If your foundation is too dark or too light in comparison to your neck, you will only draw attention to your jawline and chin shape so pick a shade which matches to your neck and then blend using a BeautyBlender Makeup Sponge for a seamless finish. When you’re trying to minimise the appearance of your chin, you want to focus your makeup on the upper half of your face. Fill in your eyebrows to create a strong brow line, and apply a volumising and lengthening mascara to enhance your eyes. Applying your blusher in a sweeping upwards motion, and wear a light coloured lipstick to draw the attention away from your chin. Contouring is essential in your makeup routine if you want to alter your face shape. Use a matte palette such as the Kat Von D Shade + Light Contour Palette and apply the darker shades to the centre of your chin and blend down to under your chin to give the illusion of a shorter face shape. Also, contour along the jawline to add more structure and definition. Focus your highlighter shades to the centre of your face such as on the cheekbones and the centre of the forehead. If you have a long or u-shaped chin, you can use accessories and necklines to create the illusion of a more oval face shape and smaller chin. To draw back attention from your chin, you will want to opt for wide and horizontal necklines which will help to shorten your face shape and detract from your chin. The wider neckline will make your face look rounder and minimise the long chin. Off the shoulder and one shoulder straps are also very flattering and will take away the attention from your chin. Chokers were one of the biggest trends for 2016 and they aren’t going anywhere anytime soon. Wearing a choker is one of the best ways you can shorten your face and soften your chin, or alternatively, you can try a short statement necklace. 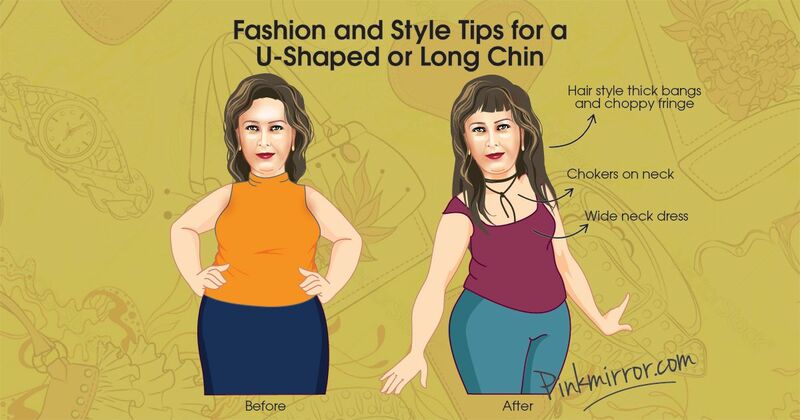 Choosing the right hairstyle can also make a huge impact on the appearance of your chin. If you have a long chin, thick bangs are a great way to shorten your face shape for a more balanced and oval appearance. 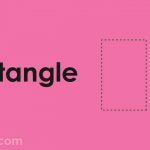 You will also want long layers in your hair which will help to add width to your overall face shape and try to avoid straight hair as this will only enhance the shape of your chin. Jennifer Garner disguises her long chin perfectly with her soft waves and choppy fringe. 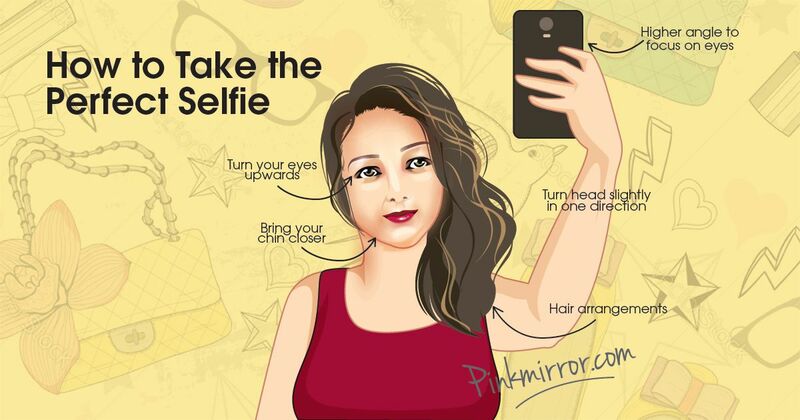 Not many people are blessed with being photogenic and if you have a long chin or u-shaped chin it may seem even harder to take the perfect selfie without over-emphasising it. 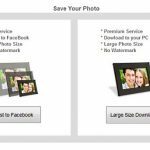 However, we’ve got some great tips on how you can take a great photo for a more oval and feminine look. It’s really important to get the right angle when taking a selfie, and if you’re trying to minimise the appearance of your chin you will want to take the photo from a higher angle to focus on your eyes. Tilt your eyes upwards towards the camera and bring your chin closer into your body. You may also want to turn your head slightly in one direction so the selfie isn’t so straight on. Taking your photograph straight on will only emphasise the shape of your chin, whereas if you tilt your head, your chin shape will be skewed. 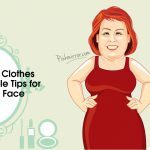 Making some wardrobe, makeup and hair changes can dramatically change the shape of your face and minimise a long or u-shaped chin. Of course, if you really want to get that perfect selfie, be sure to check out our Chin Lifting Tool to get the look you want.